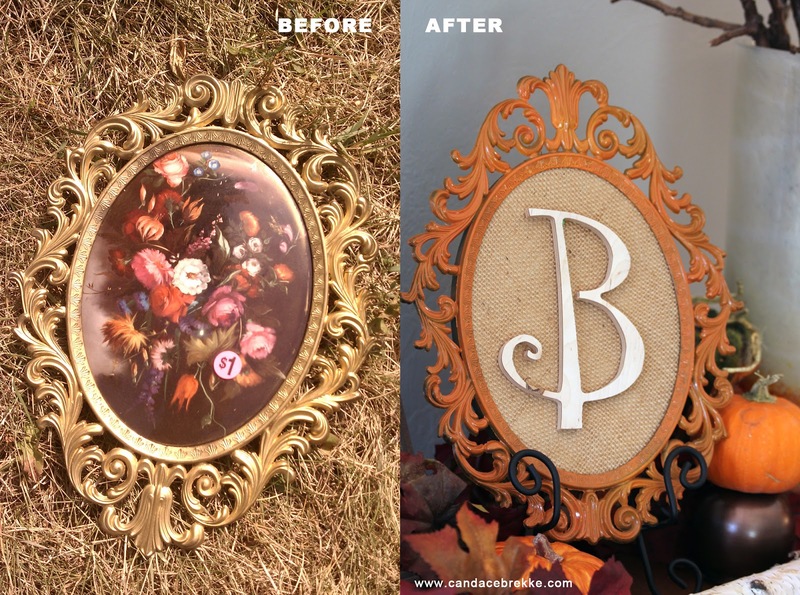 I found another great buy this summer at a garage sale that I've turned into something a little more personal to use as part of my fall decorations. As you can see, I paid a whole dollar for this little beauty. The best thing about it was the original round glass. I figured I could paint the frame and replace the image with one of my own. But once I got it home, it seems that the flowers are permanently glued directly to the glass. Bummer. On to plan B. After spray painting the frame orange, I picked up a little swatch of burlap and used that as my base and simply added a wooden letter on top using a small pin. 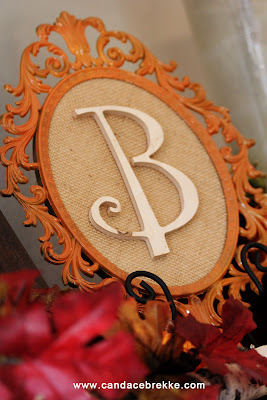 I had planned on using some modge podge and scrapbook paper to jazz up the "B" but decided I liked the natural look of the wood against the burlap.